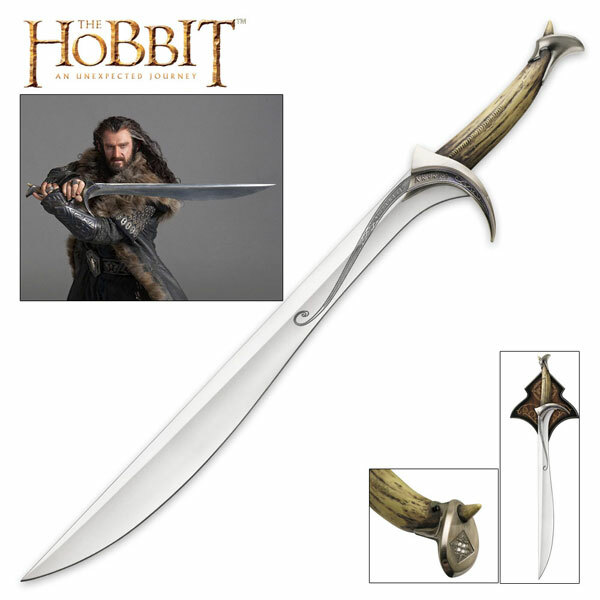 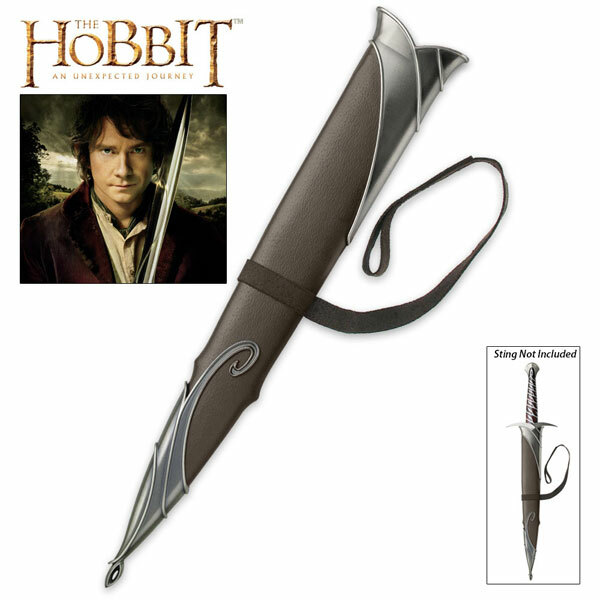 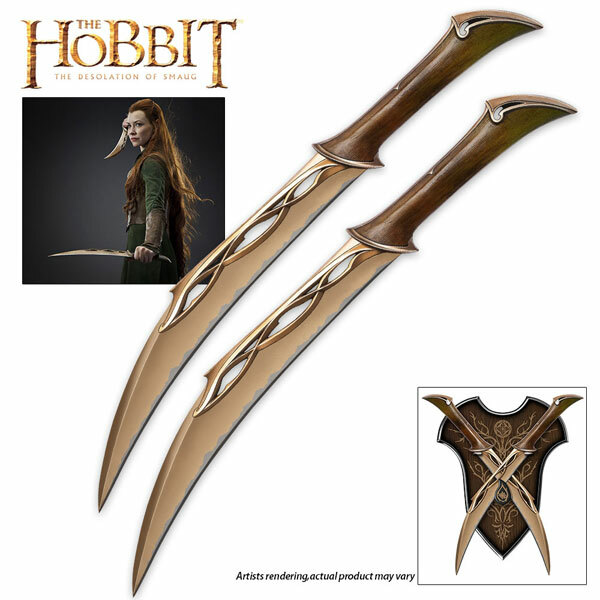 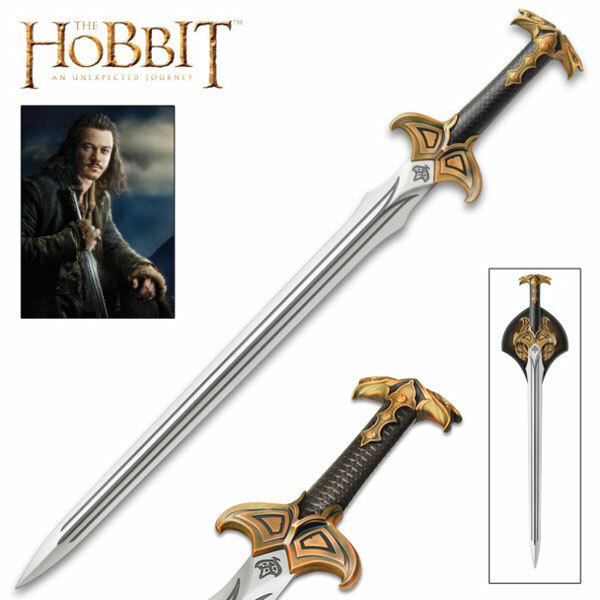 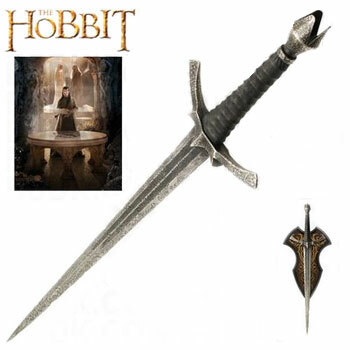 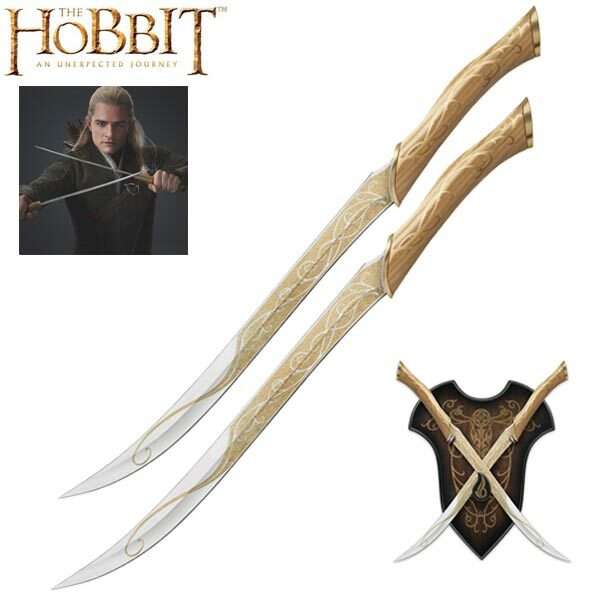 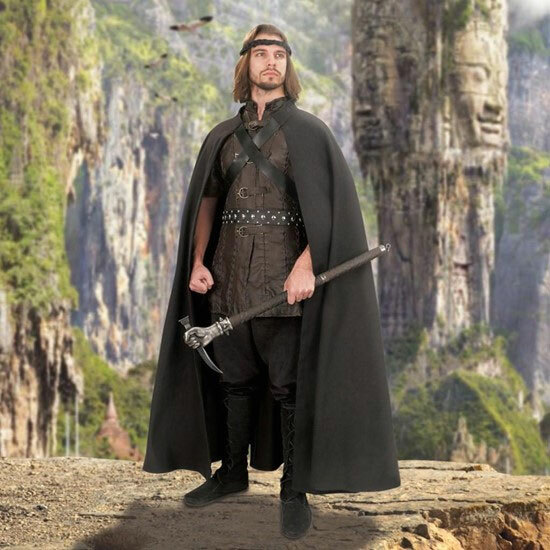 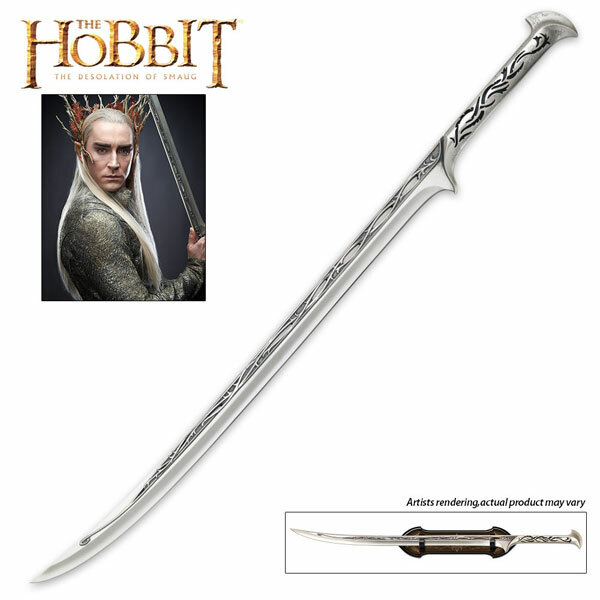 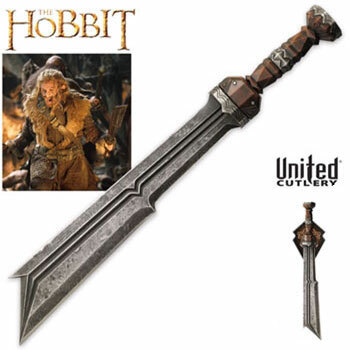 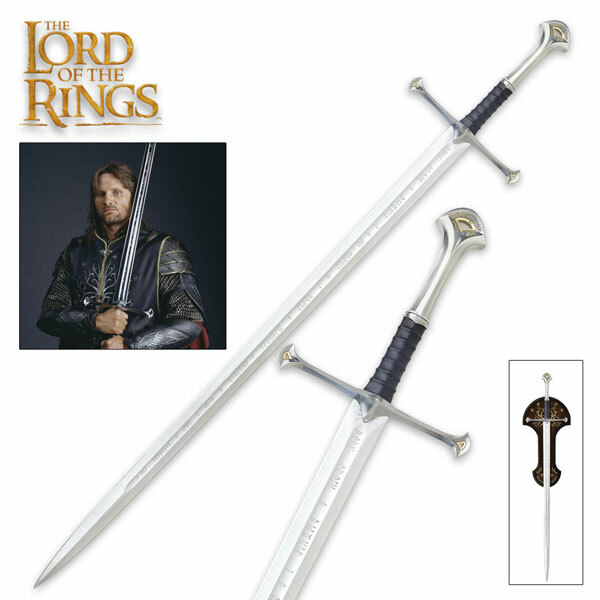 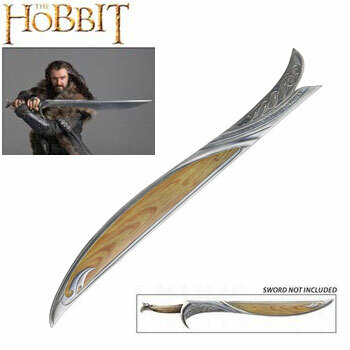 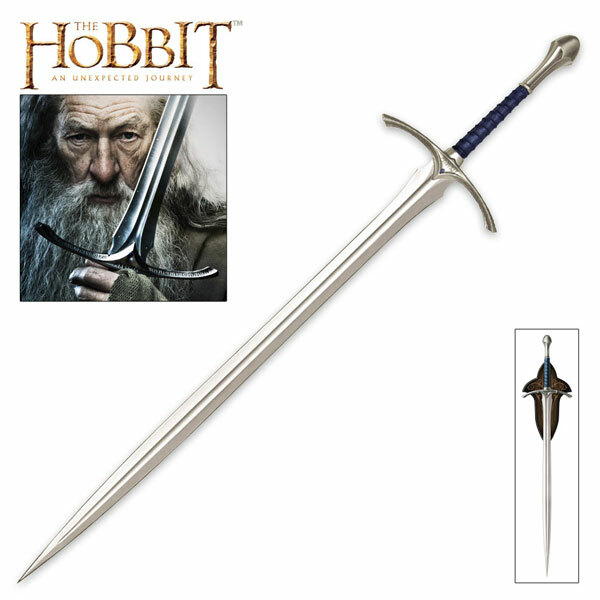 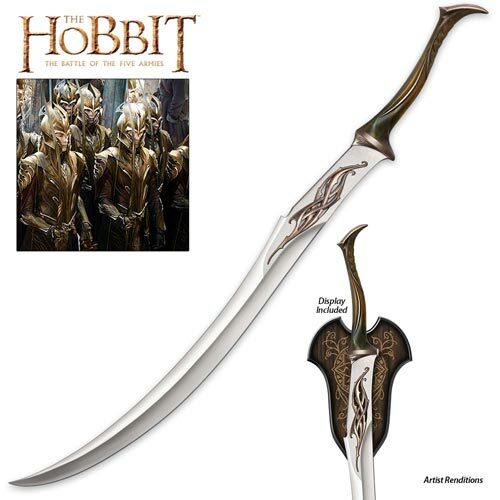 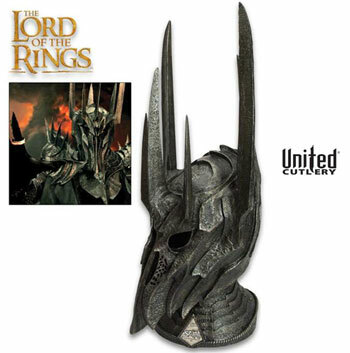 Fili Swords for sale are the officially licensed collectibles from the movie The Hobbit. 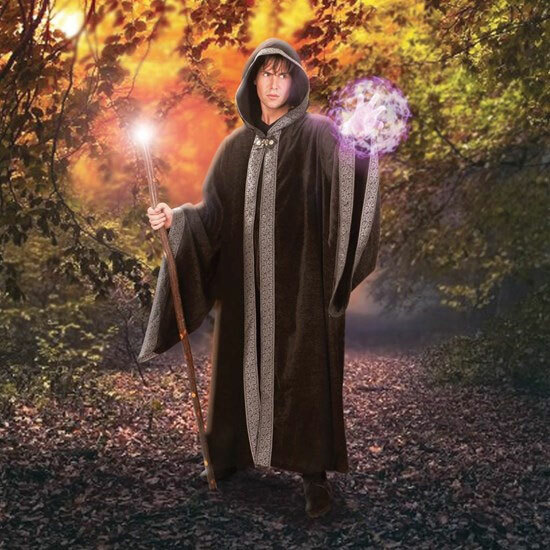 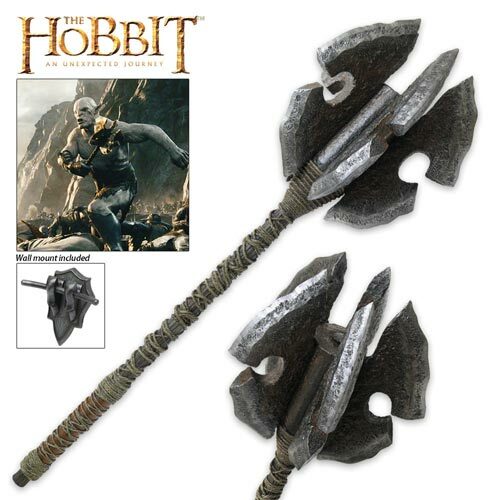 These pieces are an exceptional replica of the real prop that was made by Weta Workshop of New Zealand for The Hobbit films. 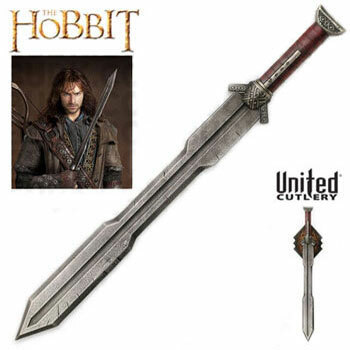 The sword of Fili the Dwarf measures 25 ½ inches. 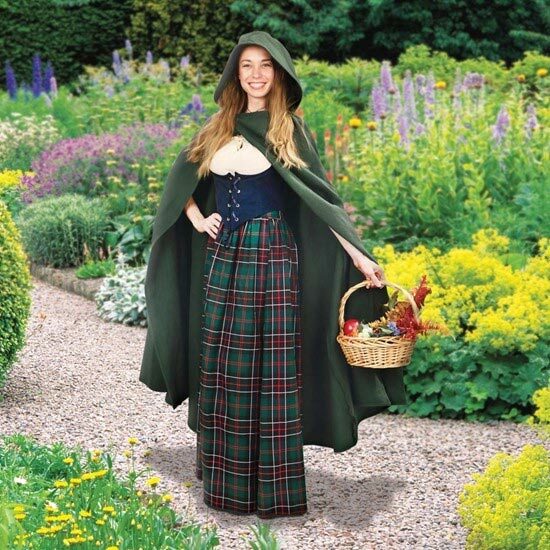 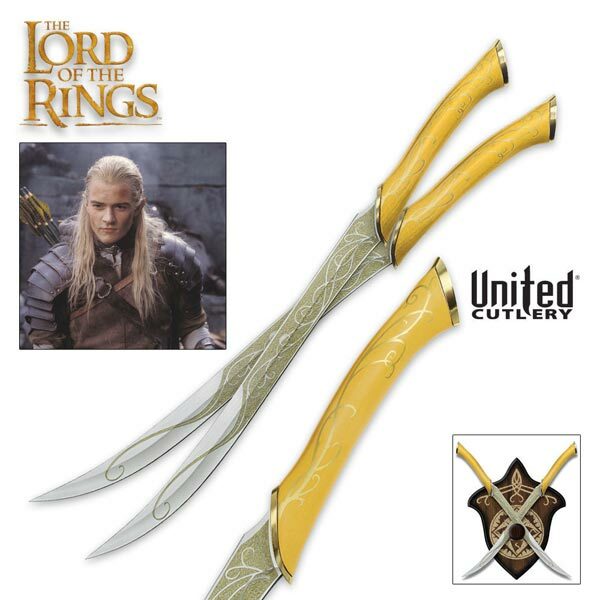 It features a solid unsharpened blade. 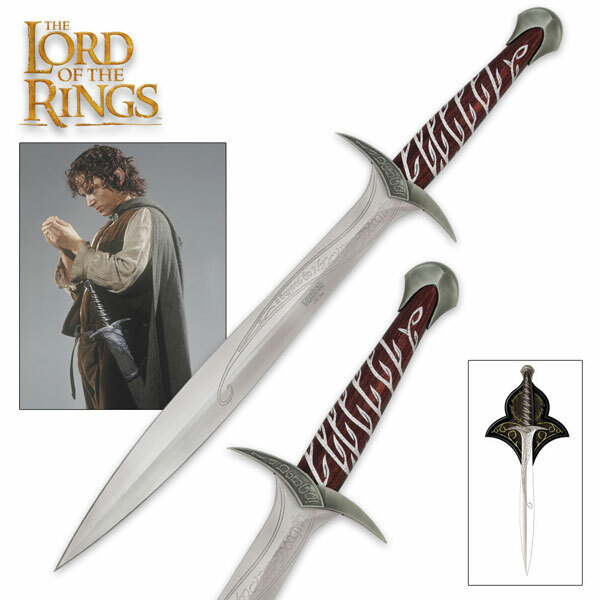 The blade is 3/8th of an inch and is crafted of AUS-6 stainless steel. 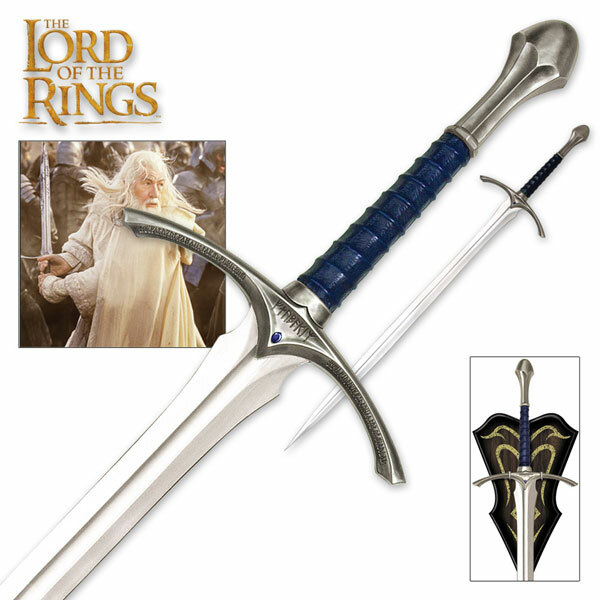 The handle is manufactured of solid metal and features hard acrylic parts. 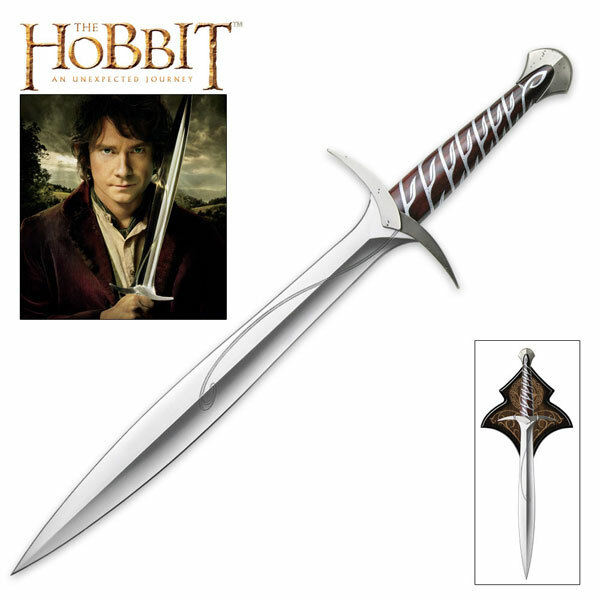 These swords have a distressed, acid-etched finish which creates an authentic battle worn appearance. 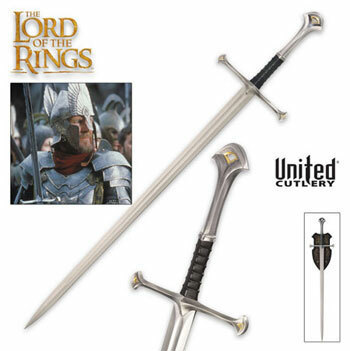 These are the officially licensed swords made by United Cutlery and they include a certificate of authenticity. 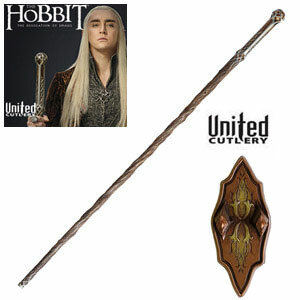 They also include a wall display plaque. 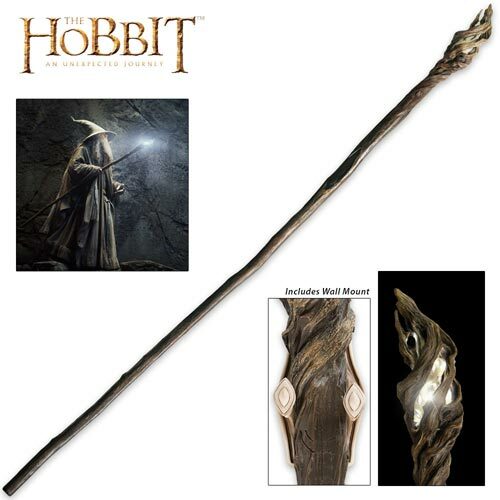 The plaque is crafted of wood and includes mounting hardware and display instructions. 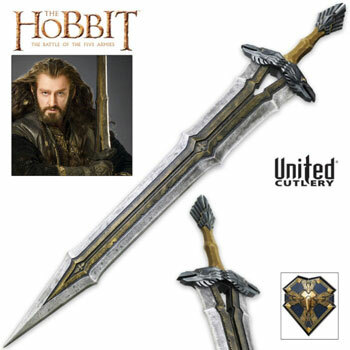 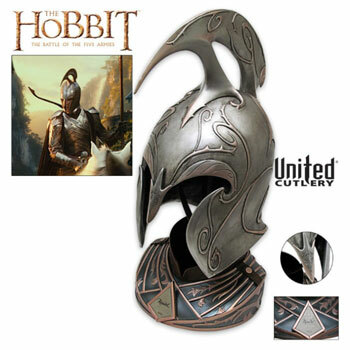 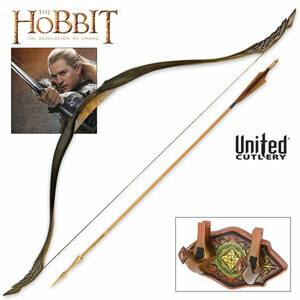 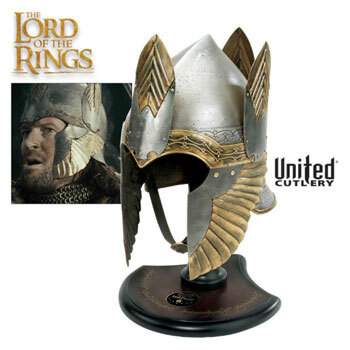 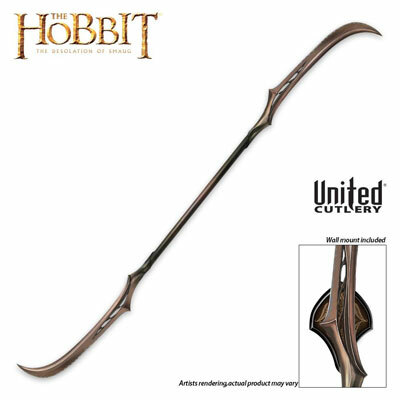 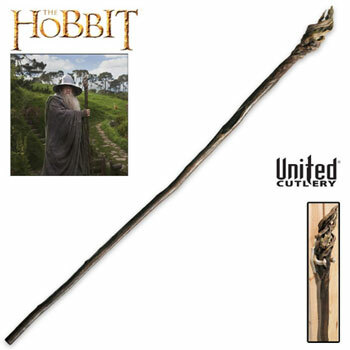 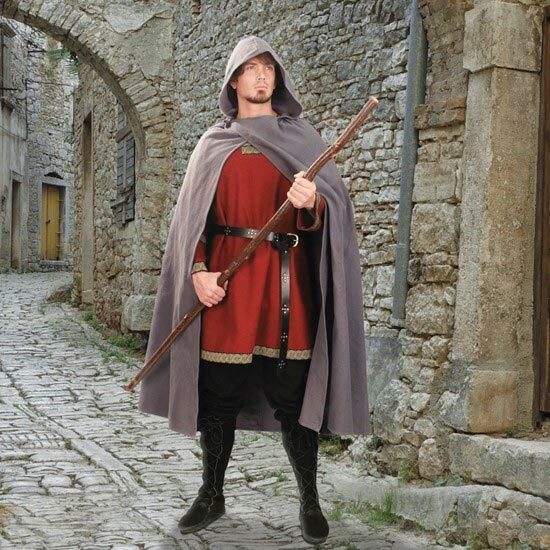 Buy Fili the Dwarf Swords for $139.99.